I generally read detective and spy stories and haven’t read any good science fiction since I was a lot younger. However, Battleframe is so creative, genuine and interesting, that I am back in the Sci-fi groove. Michael Gilmour’s first (of many, hopefully) novel has brilliant twists and turns that kept me turning page after page. Alpha 3, where most of the action takes place is a well-drawn planet and easily envisioned. 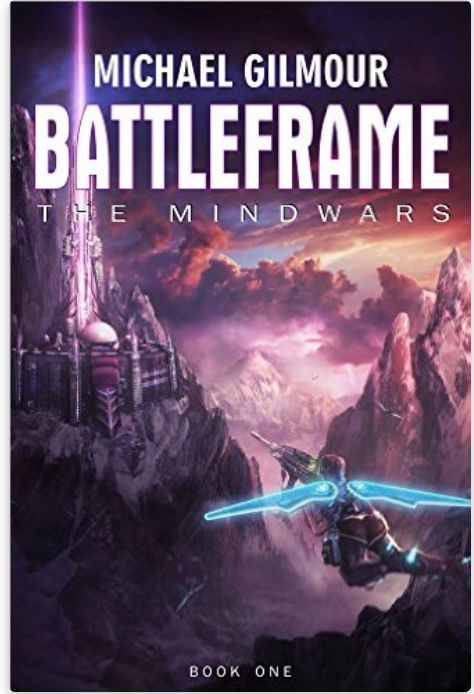 The description of the Battleframe itself, its uses and abilities to heighten (literally) the reader is genuinely fantastic, not to mention the nanomeds. The mystery of the Elders, who they are and what they hope to accomplish, is fodder for future installments and kept me guessing throughout the story. The twist in the plot approximately half way through was well thought-out and a delightful surprise. The “family” aspect of the story was really the best part and how it wove into the adventure was quite skillful on the author’s part. Although it is a Science Fiction novel, you don’t have to be a Sci-Fi enthusiast to enjoy this unique, exciting and easy to read story of a family and friends out to save the world. Kudos to Michael Gilmour! Bring on Mindwars Book 2. Howard, I don’t know what to say other than THANK YOU! 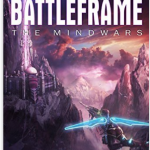 I’m so glad that you enjoyed Battleframe….nothing gives an author more satisfaction than when a reader that enjoys one of their books. Let me reassure you that Mind Wars book 2 is well on the way…..and there are a lot more twists and turns in the story as the scope of novel suddenly expands to becoming galactic wide.